The author wishes to meet and greet readers during his participation at the highly-anticipated affair. His book emphasizes that practicing kind deeds and other acts of gratitude along with saying the words “thank you,” people will understand the true meaning of these values and hopefully inspire them to do the same to others. Ralph Mosgrove will soon be attending the nation’s finest literary festival in Miami. His participation is definitely going to be a wonderful opportunity for readers, especially passionate and devoted readers of Christian literature, to meet and interact with him. Not only that, he is looking forward to personally impart his knowledge, insights, and reflections on the power of gratitude. 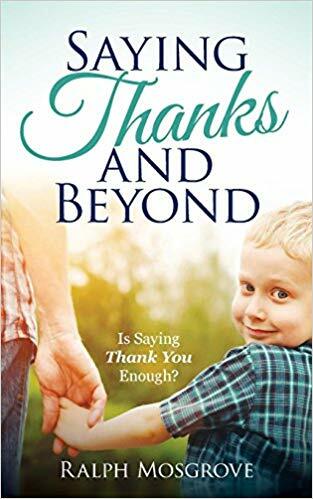 His inspiring book, “Saying Thanks and Beyond: Is Saying Thank You Enough?” leads readers to reflect on how far gratitude can go and how much it can touch the lives of other people. He encourages readers to instill in their minds that the power of gratitude goes beyond words. His book emphasizes that practicing kind deeds and other acts of gratitude along with saying the words “thank you”, people will understand the true meaning of these values and hopefully inspire them to do the same to others. Through each chapter, he walks readers through a journey to learning, understanding, practicing the power of kindness and gratitude in everyone’s lives. Not only that, he shares insights that will encourage every reader that through these values, one can live a better life, become a better person, and face the future filled with joy, contentment, and positivity. Mosgrove is more than ready to share his own gratitude to his readers and every attendee that will stop by during the event. His book signing session is slated to unfold on November 16, 2018 at 2:00pm – 3:00pm and November 17, 2018 at 12:30 – 1:30pm. Readers who wish to grab copies of his book can purchase them through Amazon (https://www.amazon.com/Saying-Thanks-Beyond-Ralph-Mosgrove/dp/1480843520) and Archway Publishing (https://www.archwaypublishing.com/bookstore/bookdetail.aspx?bookid=SKU-001112875). Ralph Mosgrove, widowed in 2015, is a retired Navy Veteran, Pastor, and Educator. Employed in human relations, counseling, and a musician, he is a father and grandfather. Ralph lives in St. Petersburg, FL. This is his debut book.